I started my Twitter account round about November of last year. I didn’t do much with it because I wasn’t getting much out of it, and I didn’t understand why. Spam Bots had 20 times more followers than me and some of them even seemed to get retweeted. Meanwhile, I did 1-2 posts a day, posting my opinions about business stuff (it was that general) and posting links to some things that I thought were chock full of good information. As far as how that plan worked, I seemed to get more followers during the phases when I wasn’t posting at all. Find mentors: One advantage I had when I joined Twitter is that I knew a lot of my role models were already there. In looking at some of those role models’ Twitter accounts, I also saw that my chance to see them build up their followers had come and gone a LONG time ago. Most of the people whom I consider my mentors have hundreds of thousands of followers. However, the number of followers is not what made me consider them my mentors. Rather, it’s how they treat their followers, including me. It would be easy to forgive someone for never responding to your mention or to your post since they have 299,000 other people posting things to them and at them. The amazing thing about my “mentors” is that they actually find ways to share their love quite a bit, and I think that’s pretty fantastic. No, they won’t respond to every single thing every single person posts, but I have been impressed at how many times I’ve been able to communicate with these folks through Twitter. It makes them and what they are saying seem accessible. Finding folks like that is really, really important. Find chats: So I had nary an idea about chats when I first joined Twitter. I was checking out the latest tweets when I saw something called #blogchat popping up from a lot of the new people I was following. I decided to check it out. Best thing I’ve done on Twitter. No matter what your business is, chats on Twitter can be beneficial, and there’s one reason for that. Out of the millions and millions of people using Twitter, a chat divides out that people who are interested in chatting about something you all have in common. I’m aware of about 150 chats on Twitter as of now, and the topics range from parenthood to association news. Even though a chat group can be a small piece of the Twitter pie, it can still move fast and it can be a little intimidating your first time. However, if you are legitimately interested in learning from other people and offering your insights as they come, I guarantee you will find it not only really rewarding but also really fun! These are the first major things that come to mind when I think about what I’ve learned about using Twitter so far. There are tons of other little things. Being gracious is key, for example. Saying thank you is a really good idea. Posting to and about other folks more than yourself is better than just promoting yourself. Things like that. Perhaps the most inspiring thing I’ve learned about Twitter is that sharing is the name of the game. When you learn something you share it. When you have some success, you pass it around. It’s for that reason that I’m hoping to start a chat called #Twit4Biz this Thursday. It’s not to say that I’m an expert and I’m now going to tell everyone how I figured everything out. What I’m hoping is that it will be an opportunity for people to talk about the delicate dance of using Twitter for professional reasons. There are so many questions that I want to explore on a personal level. For example, if you’re really passionate about politics, let’s say, can you reveal that through your professional Twitter account? How personal is too personal for that kind of account? How do you balance responding to friends who might have found you, who will talk about things not related to business, with the folks you are connected with because of business? More than all of that, I would have truly found a resource like that beneficial when I first signed into Twitter. Maybe there are folks who are where I was 6 months ago, posting links and not getting any response. Maybe these chats will give them ideas and help them out. 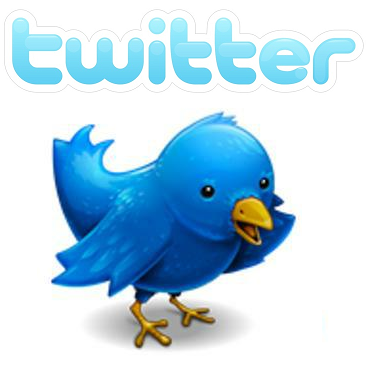 What has your experience been with using Twitter for business? What have you learned? Do you have mentors like I do? I’d love to hear your stories!